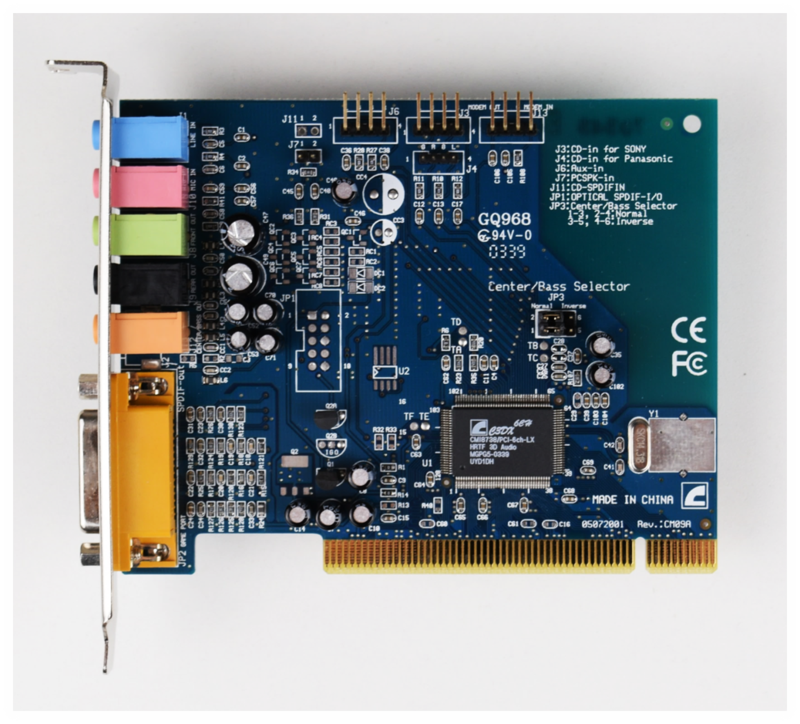 The C-Media CMI8738 chip can be found on many PCI sound cards. The card I used for testing and reviewing is from AOpen, it is the Cobra AW-850. The card sounds well enough in standard audio applications, but the 3D support for technologies such as A3D and EAX is very limited. A3D doesn't seem to be supported and all, EAX works well enough with the latest WDM drivers, but sound nowhere near as nice as a Live! More of interest is the pure DOS compatibility. The drivers are good, but compatibility is a mixed bag. Adlib and FM should work for most games, but especially Sound Blaster compatibility depends greatly on the game. Late WDM drivers from 2003. These worked the best for me, adding working EAX support with Windows 98 SE. The full version number is 5.12.01.0643. Drivers for pure DOS. Just extract somewhere and run INSTALL.EXE from DOS.